Donegal footballers have been dealt a major blow after Gaoth Dobhair star Odhran MacNiallais opted out of the county's championship campaign. MacNiallais told Donegal radio station Highland Radio of his decision. "I just have no real interest in football at the minute. The last few weeks, even training with the club, I haven't really enjoyed it," said. "I just don't have the hunger and the desire there to give the commitment o Donegal." The midfielder helped Goath Dobhair clinch the Donegal and Ulster titles last autumn before their All-Ireland semi-final defeat by eventual champions Corofin in February. MacNiallais, who also opted out of the Donegal squad for the entire 2017 season, revealed that he informed Donegal manager Declan Bonner of his decision last week. "He just said, 'that's grand, take your time. If you ever need us, we're there for you'," added MacNiallais. 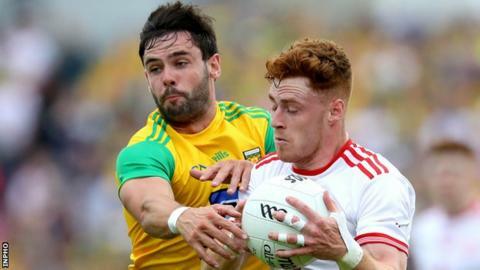 Donegal open the defence of their Ulster title with a quarter-final against Fermanagh at Enniskillen on 26 May.